初六: day six of my ‘hóngbāo’ adventure – british. foodie. dreamer. I have had a very Chinese day today as a friend and I went to Beeston which is an area of Nottingham on the other side of the University Campus. The town council had organised a two-hour long Chinese New Year Lantern Festival which involved various Chinese dance performances including the Lion and Dragon dances. The children of a local primary school had spent a day making Chinese Lanterns out of gold card and red paper mache and just before fireworks paraded around the square, and they looked adorable! As it is the sixth day of the New Year, it’s time to send away the Ghost of Poverty. Why? “According to the legend, the ghost of poverty is a son of Zhuan Xu (an emperor among the Three Emperor and Five Sovereigns in ancient China). He was short and weak, and liked wearing ragged clothes and eating poor porridge. Even when people presented him with new clothes, he would not wear it until he ripped it apart or burn it. So, he got the name of “the man of poverty”, and with time passing by, he gradually became the ghost of poverty. Now, regarding my adventure, I chose a friend that I knew would have some good advice and wisdom up her sleeve: Dorottya or we call her Dóri for short! Go into a new culture or situation without any preconceptions, prejudices, with a blank slate. This is the best way I could write it because there isn’t a completely clear phrase or idiom that encompasses what Dóri wanted to say…. But I’m going to have a go at explaining it. Dori has travelled a lot for her studies, she is Hungarian and has lived in America as part of a University exchange, spent a summer in South Korea and now is in the UK for her Masters degree. This life lesson (as she called it) is linked to her various experiences adapting to a new culture and its habits. Yet I think she’s touched on something really prevalent in society that everyone experiences, not just those who have the opportunities to travel. She shared with me that our first impressions and experiences, if difficult and below expectations, isn’t what it’s going to continue to be as long as you don’t let the cultural differences get to you. When we are faced with something new it’s not easy for us (somewhat) sensitive human beings to change and adapt when we are so used to a certain lifestyle. I found this inspiring because it highlights how much we don’t appreciate ourselves and allow us to feel rubbish and not believe in ourselves to get through it. I have taken this advice and will attempt to apply it to daily life. In every new situation or experience, it is good to think that we go into it with a positive attitude and without preconceptions of what we expect it to be. In many of my new experiences, both afar and in the UK, I am definitely guilty of feeling disappointed or uncomfortable until I let myself relax into it and let go of any worries of judgement or anything. We make ourselves so vulnerable when we should be so strong. Dóri doesn’t imply that everyone is widely prejudiced but it is common knowledge that we do judge without meaning to. There are negative connotations that we need to get rid of to free ourselves from our own constraints and stresses. We also talked about a version of the very popular english phrase “treat others as you wish to be treated” and how, as long as you walk into a situation being your happy self, it is more likely that the people around you are most likely to reciprocate your mood and actions. And without realising it, we’ve managed to increance the chances of having more fun and coming away from the experience fulfilled. Therefore, in a whole bunch of words that I’ve just typed in my exhausted state, today is a day that shows and teaches us to be ready to change and adapt to the various challenges and new experiences that come. As soon as there is expectation, we are creating boundaries, and there’s no need for them! We are great people as we are and even though there can be language and cultural barriers or just being different people, let’s head into everything feeling bold and full of life. Everything Dóri and I spoke about has left me thinking about it all non-stop so I could keep babbling but as it’s quarter to eleven in the evening… I’m going to call it a night. 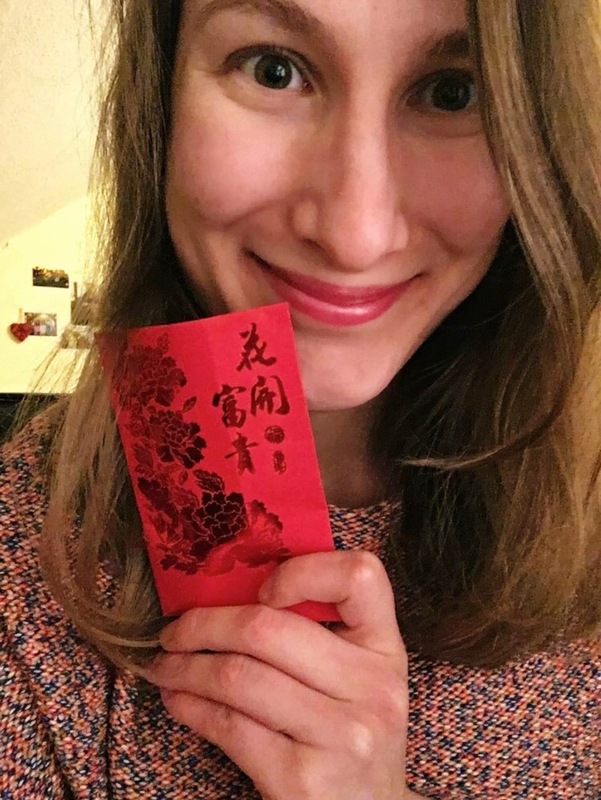 Posted on February 13, 2016 by GeorgiePosted in Final (4th) Undergraduate YearTagged advice, alifeofalanguagestudent, chineseculture, chinesenewyear, chunjie, inspiration, lovinglife.